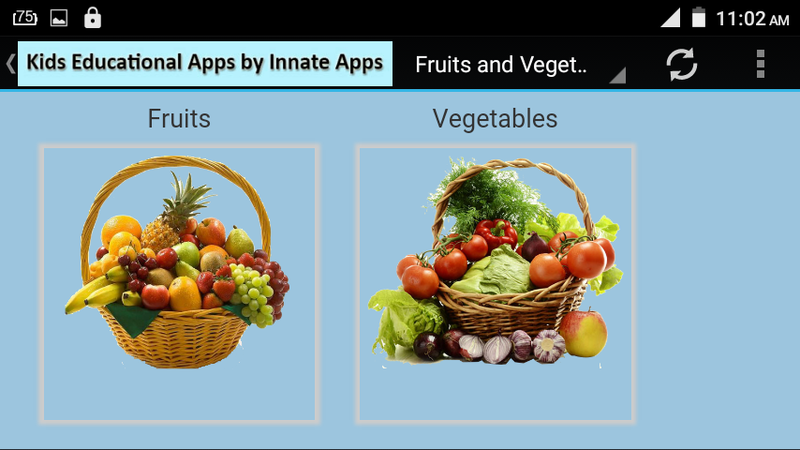 “Fruits and Vegetables for Kids” is a great App for preschool children. 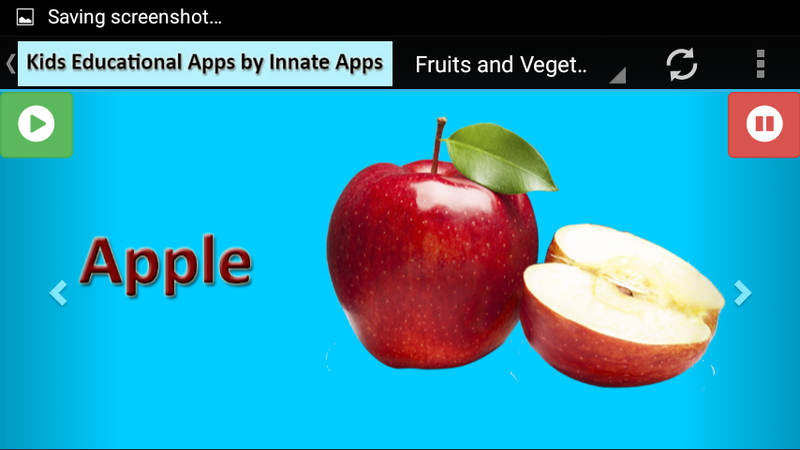 Your kid watch amazing pictures of fruits and vegetables when he/she learn their names. When the kid completed all the alphabets then he/she can take a quiz to know how many names he/she learned. Your child do not need to read to use this app. 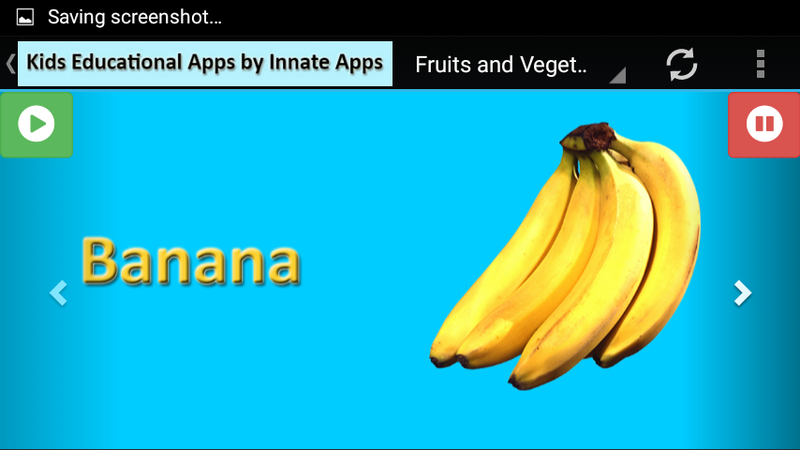 This app is very easy to use and this app allow the youngest children to play and learn independently. Experience has shown that children love to look colorful pictures with sounds, and they will ask to see them again and again. No matter the number of right answers given, and also of stars attained, the child's developing skills is going to be fostered by enthusiastic applause and sailing balloons! The main thing is that the younger kid learn more easily and observe new knowledge. It's important to utilize this ability though it's available! Fruits and Vegetables for kids is very helpful for your child to learn the names of many fruit and vegetables they watch in their daily life. Remember that parents are a child's first teacher. We advise you to sit along with your child to enhance the learning experience or entertainment even more. Toddlers will learn the names associated with the images and stimulate their motor skills. The app is not only for toddlers. Older kids loves to hear and learn more this subject and thereby increasing their vocabulary and possible the intelligence. With this application you combine education with entertainment. 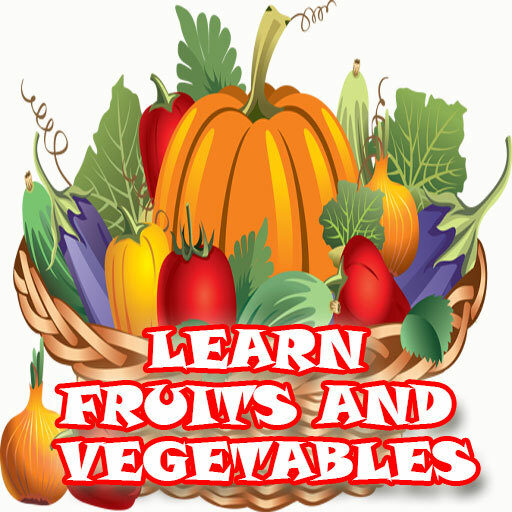 Children learn in an interesting way of fruits and vegetables, and parents can spend time with their children.